Guizhou Provincial People's Hospital has become the first laboratory in China to achieve the Verification of Performance. (Sigma VP). In 2017, the laboratory was also re-verified. 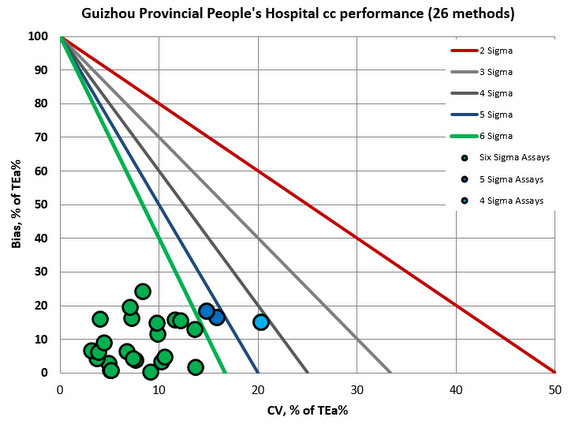 In October 2016, Westgard QC was pleased to verify the performance of 24 assays at Guizhou Provincial People's Hospital, in Guiyang City, China. One year later, Guizhou added and expanded to their assays that received Sigma verification. Here pictured in the center is Zhang Hua, Laboratory Director, from the original 2016 verification. Guizhou People's Hospital is a Class III hospital that combines medical research and education, disease prevention, diagnose, treatment into one healthcare facility. standard setting. It carries the multiple national scientific research and study projects. The laboratory has over 70 staff include 5 PHD and 15 with master degree. The lab main equipment includes the Abbott a3600 automation track with multiple ARCHITECT-c16000 and ARCHITECT-i2000. In 2017, Giozhou Provincial People's Hospital also added immunoassays to their verification. 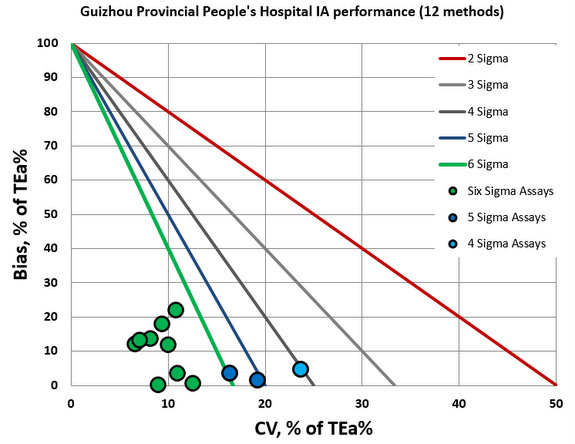 Congratulations to Guizhou Provincial People's Hospital on their accomplishment and their continuous improvement in analytical performance.